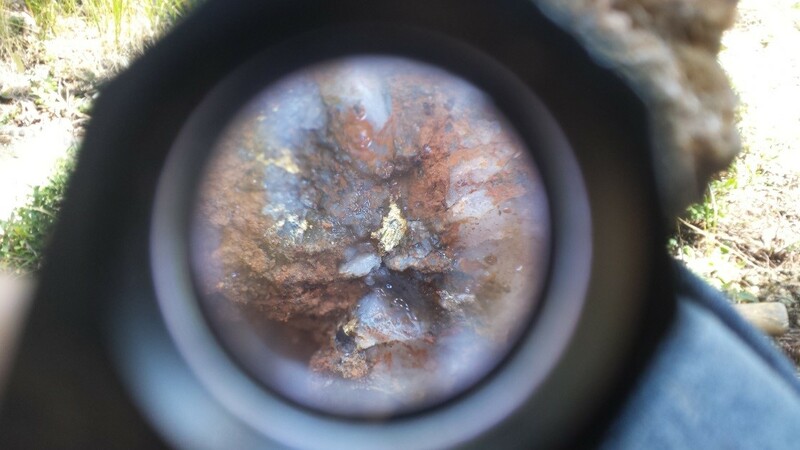 Rockstone initiates coverage on Ximen Mining Corp. as the company owns an impressive portfolio of high-grade gold projects in British Columbia and, at least of equal importance, has put together a highly experienced team of miners to bring those projects to the next level. Almost 3 years later, Mr. Anderson now leads an impressively well-structured company that is poised for success thanks to the people and joint venture partners that are eager to delineate multi-million ounces of gold equivalents in one of the world‘s safest mining jurisdictions, and most importantly, to fast-track these projects towards production as quickly as possible. Having Peter Cooper onboard is key for Ximen and its joint venture partners to make the right steps at the right time. He has been involved in 3 successful new gold mine start-ups and has overseen projects from the exploration stage right up to production. Mr. Cooper played a significant role in the exploration, pre-production and development of Kinross Gold Corp.‘s Buckhorn Gold Mine located in northern Washington State, close to Ximen‘s Gold Drop Project. For many years, he served as Chief Geologist and then Manager of Operations at Kinross‘ Kettle River operations near the Buckhorn Gold Mine. Ximen Mining Corp. owns 100% interest in all 3 of its precious metal projects located in southern British Columbia, Canada. Ximen`s 2 gold assets are the Gold Drop Project and the Brett Epithermal Gold Project. Ximen also owns the Treasure Mountain Silver Project adjacent to the past-producing Huldra Silver Mine. Al Beaton (P. Eng) is Ximen‘s advisor and an active member of its technical team. He has been actively involved in mining operations for over 40 years. Since becoming a member of the Association of Professional Engineers and Geoscientists of British Columbia in 1974, he has over 30 years of experience as mine manager for mining and development operations throughout Africa and across Canada. Mr. Beaton was the mine manager for the Erikson Gold Mine from 1979 to 1986, which, at its peak, was the No. 1 gold producer in British Columbia. He was also the mine manager for Huldra Silver Inc., which was producing ore from the Treasure Mountain Mine in British Columbia. Currently, both the Gold Drop Project and the Treasure Mountain Silver Project are under option agreements. The option partners are making annual staged cash and stocks payments as well as funding the development of these projects. Yesterday, Ximen announced that it has further amended the terms pertaining to an agreement for the purchase of the NSR (Net Smelter Return royalty) from American CuMo Mining Corp. (TSX-V: MLY) on certain mineral claims comprising the Brett Property where the final payment of $930,000 due on or before February 20, 2020, is being reduced to $720,000 and paid by way of an issuance of 2,400,000 common shares at the deemed price of $0.30 per common share. The foregoing payment will complete the purchase of the NSR, subject to approval from the TSX Venture Exchange. Rockstone is looking forward to following and covering Ximen as the company plans to aggressively advance its projects in tandem with its joint venture partners, whereas Ximen is focused on developing the Brett Project itself. The company plans to re-open the portal at Brett and to carry out drifting and underground drilling in spring 2019. Full size / The portal was closed off and buried for several years for public safety concerns. Full size / Portal re‐opened 2018. The condition of the underground workings is being accessed and work for safe access for drilling will be completed. Disclaimer: This report contains forward-looking information or forward-looking statements (collectively "forward-looking information") within the meaning of applicable securities laws. Forward-looking information is typically identified by words such as: "believe", "expect", "anticipate", "intend", "estimate", "potentially" and similar expressions, or are those, which, by their nature, refer to future events. Rockstone Research, Ximen Mining Corp. and Zimtu Capital Corp. caution investors that any forward-looking information provided herein is not a guarantee of future results or performance, and that actual results may differ materially from those in forward-looking information as a result of various factors. The reader is referred to the Ximen Mining Corp.´s and Zimtu Capital Corp.´s public filings for a more complete discussion of such risk factors and their potential effects which may be accessed through the Ximen Mining Corp.´s and Zimtu Capital Corp.´s profile on SEDAR at www.sedar.com. Please read the full disclaimer within the full research report as a PDF (here) as fundamental risks and conflicts of interest exist. The author, Stephan Bogner, holds a long position in Zimtu Capital Corp. and is being paid a monthly retainer from Zimtu Capital Corp., which company holds a long position in Ximen Mining Corp. The author currently does not hold any equity positions or other kind of interest in Ximen Mining Corp.